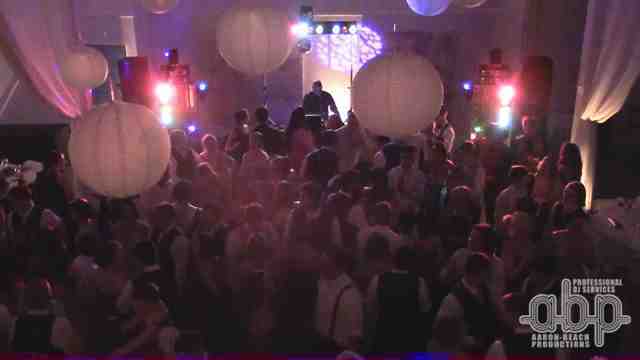 We had the pleasure of performing at Stoughton High School's 2015 Senior Prom! The venue that they selected was an amazing ECO design with great acoustics. It had a mezzanine that wrapped almost the entire first floor providing a very roomy feel and place for people to spread out and take a break as needed. The entire front of the building's glass structure opened up like a "garage door" to let a cool cross breeze to pass through keeping most people comfortable. The students enjoyed a wonderfully prepared dinner and danced from the time dinner was complete until it was time to call it a night. They arrived and left in large commercial busses and were dropped off at the venue's front door. The busses also provided an express ride back to their pickup point ensuring everyone was safe and sound! We here at Aaron-Beach Productions are very happy to have been able to provide DJ services for their prom and wish them good luck as they enter the next phase of their lives. Special note: Aaron-Beach Productions would personally like to thank Kaitlin Elwood for connecting us to the schools administration teams and creating the bridge for a successful partnership with the school. We wish her well and are very happy with her personal successes within her tenure of SHS. All the best and thank you! NOTE: Video was recorded using 1080p handheld Sony camera at 24 frames and converted to web format for proper streaming.